We perform at hundreds of venues annually, including museums, malls, resorts, retirement communities, private parties and more. We offer several options (including both solo performers and duos) to help make an amazing event! DDU is a unique fusion of Australian music, culture, puppetry, comedy, environmentalism and audience participation. 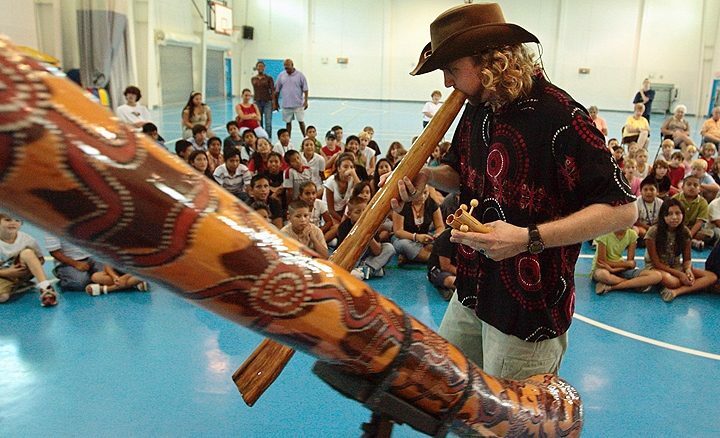 The didgeridoo, usually a hollow tree trunk, has been played by Aboriginal Australians for at least 1,500 years, and is known for its otherworldly sound. But DDU is much more than music. It’s interactive, educational, motivational and super fun for all ages! 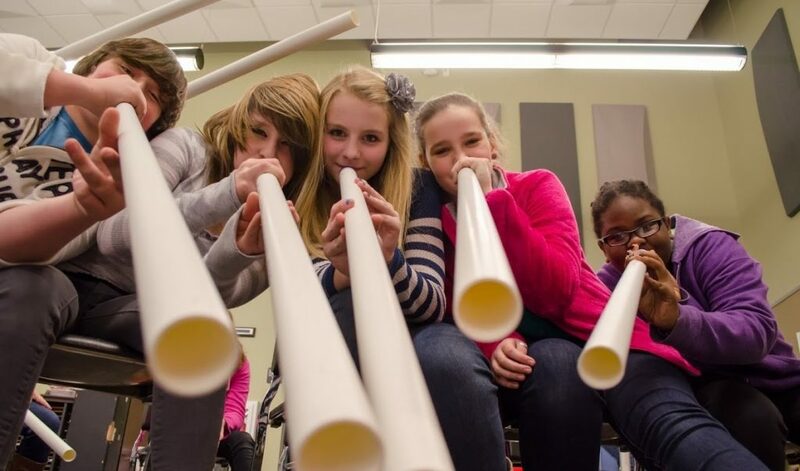 The Didge Concert takes the audience on a musical journey to Australia and beyond, as the performer(s) play(s) an assortment of didgeridoos and percussion instruments. Our performers play a modern style, mixing fast-paced rhythms with relaxing soundscapes and organic sound effects. The Funk Jam is a completely interactive and hands-on experience. 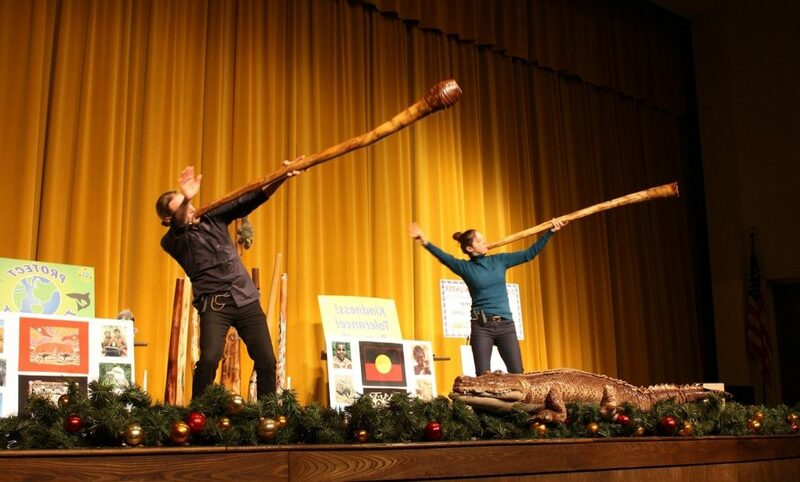 Participants learn how to play the didgeridoo, including vocalizing, creating simple rhythms and more, with our beginner instruments. It’s cool, funky and unique – Ideal for teens and tweens, but OK for ages 8 and up. 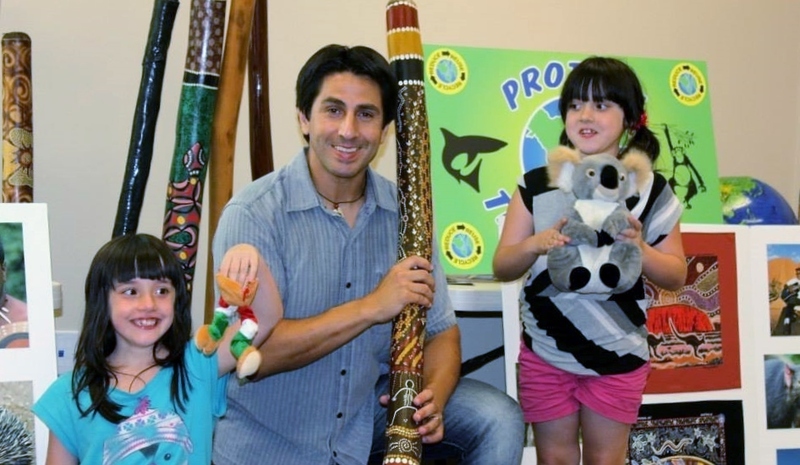 This interactive booth features short shows and workshops, and a display of Aboriginal art, boomerangs, pictures and more. The booth is ideal for a strolling audience, and provides a great opportunity for guests to talk and interact with the performer(s). 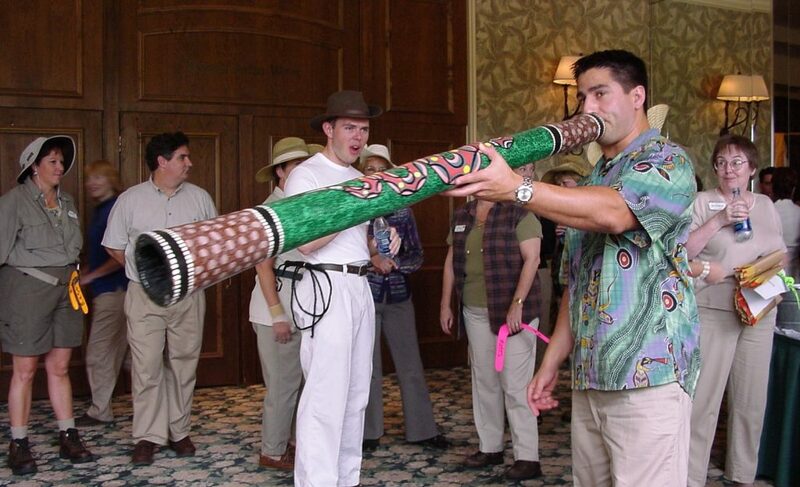 We also can play didgeridoo while walking through a venue. This works well between acts, especially with a strolling audience.